While all Logix members receive market leading rates, 5 Star security and the highest levels of service, regardless of relationship, only about 1/3 of our members generate a significant amount of positive revenue. Generally speaking, these members have moved the majority of their banking relationship (checking, savings, auto, credit card, mortgage, etc) to Logix, and it’s our goal that most Logix members will move toward such a relationship. It is primarily because of these robust relationships that we are able to offer extraordinary services, which is why our most active members will also be receiving a dividend in 2016. To learn how the dividend qualifications and amounts were determined, click here for FAQ. To learn more about the 2016 Logix Dividend, click here for FAQ. Logix Federal Credit Union is cooperatively owned by its members. Anyone with an account is also an owner. The credit union is rated “superior” for financial strength by Bauer Financial and currently has more than $4.2 billion in assets and 160,000 members. Chartered in 1937, Logix offers preferred rates on savings and loan accounts, surcharge-free access to 35,000 ATMs and access to a nationwide network of branches. Logix is the largest financial institution headquartered in the San Fernando Valley. The credit union operates 15 branches in the San Fernando, San Gabriel, Conejo, Simi, Santa Clarita and Antelope valleys. Logix was voted “Best Credit Union/Bank” in the Los Angeles Times Readers’ Choice awards. And, in 2010, 2011 and 2013, the credit union was named one of Los Angeles Business Journal’s best places to work. 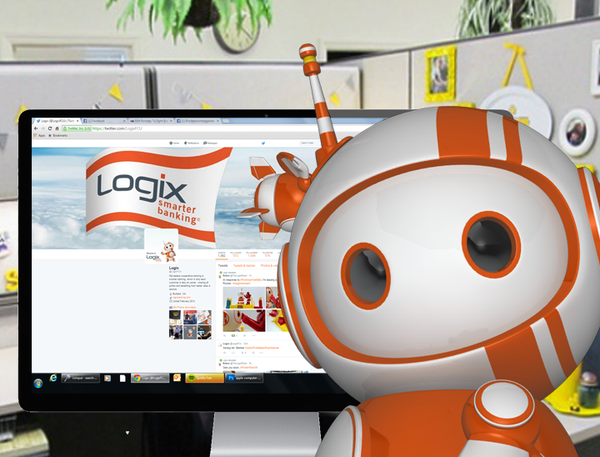 Most recently, Consumer Reports Magazine rated Logix 93 out of 100, higher than every single bank in the survey. Savings are federally insured by the National Credit Union Administration, a U.S. Government Agency. Logix is an equal housing lender. For more information, visit www.lfcu.com or call (800) 328-5328.